Bishop Denis J. Madden, incoming chairman of the U.S. Conference of Catholic Bishops’ Committee on Ecumenical and Interreligious Affairs, believes great progress has been made in reaching out to other faith leaders and promoting a greater sense of understanding between religions. His goal as the U.S. Church’s new point man on ecumenical and interreligious affairs will be building on that momentum and broadening the scope of interfaith cooperation. 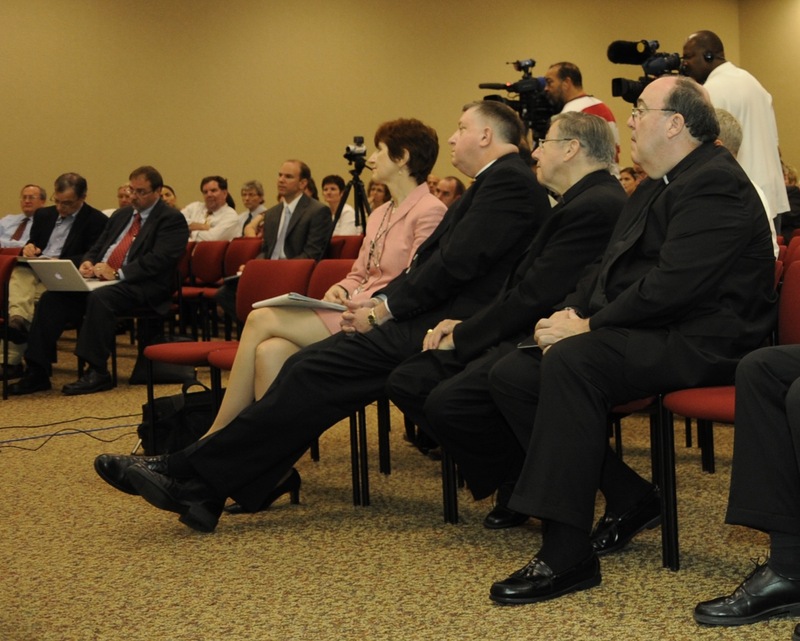 “I would like to see us move out in other ways and not just limit ourselves to a meeting where we present our papers – the Catholic view of this, the Methodist view of that and so forth,” Bishop Madden recently told me after he returned from an interfaith gathering led by Pope Benedict XVI in Assisi. Bishop Madden pointed out that the Catholic-Muslim dialogue in the United States is one of the only dialogues that features an overnight stay among the participants. Those attending have meals and discussions, in addition to sitting around the conference table, he said. Bishop Madden would like to see more of that kind of camaraderie. He’d also like to explore new ways for various faiths to work together on common causes. Before he was named auxiliary bishop of Baltimore, Bishop Madden was the Director of the Pontifical Mission for Palestine office in Jerusalem from 1994-96 and director of the Catholic Near East Welfare Association from 1996-2005. Bishop Madden praised the work of Atlanta Archbishop Wilton Gregory, outgoing chairman of the ecumenical and interreligious affairs committee. Bishop Madden also expressed support for Muslims who feel they have been unfairly portrayed in the media. In this week’s Catholic Review, you’ll read about a group of Christian, Jewish and Muslim clergy that has visited 18 U.S. cities to promote interfaith understanding and reconciliation. The “Caravan of Reconciliation” made a final stop at St. Katharine Drexel in Frederick Sept. 25, with Gov. Martin J. O’Malley giving the keynote address. Here’s a video report on the event. You can read the story here. 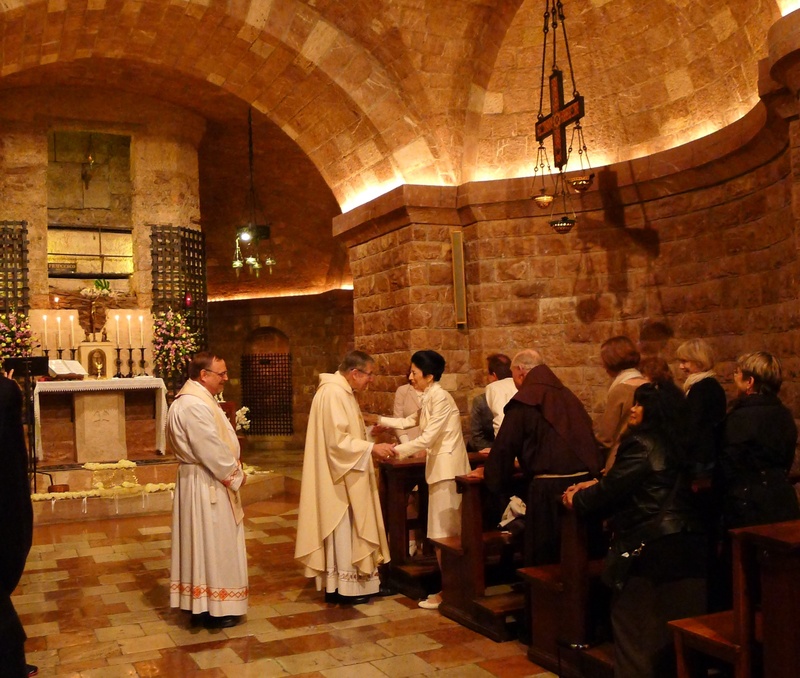 Bishop Denis J. Madden knows something about the Holy Land. From 1994-1996, Bishop Madden was the Director of the Pontifical Mission for Palestine office in Jerusalem before serving as director of the Catholic Near East Welfare Association from 1996-2005. Among his duties while with the CNEWA, Bishop Madden was the chief negotiator among the three ecclesiastical authorities responsible for repairing the dome of the Church of the Resurrection in Jerusalem. As Archbishop Edwin F. O’Brien prepares to take on a new role defending Christianity in the Holy Land as pro-grand master of the Equestrian Order (Knights) of the Holy Sepulcher of Jerusalem, he will find a knowledgeable friend in Bishop Madden. I asked Bishop Madden about the news of Archbishop O’Brien’s appointment and the challenges the archbishop will face in the Holy Land. Bishop Madden praised Archbishop O’Brien for showing courage in addressing difficult challenges in Baltimore. He also described the archbishop as a good fit for the Holy Land. Take a listen to Bishop Madden’s responses below. The Jewish Museum of Maryland is hosting a fantastic exhibit that highlights Pope John Paul II’s many efforts to foster better understanding between Catholics and Jews. Check out this video report.